So it pretty much comes down to this. A do-or-die local derby against that mob in red and white from up the road in Hounslow. It’s about as heart-stopping as it gets for Fulham fans, as this crazy, topsy-turvy season comes to its conclusions. There’s been a lot of posturing online about what’s going to happen, or who’s sold what tickets, or if Jota is really better than Cairney (really?! ), but ultimately it comes down to 90 minutes of football, that will go a long way to deciding the fortunes of Fulham’s season. The fact that it doesn’t matter for Brentford is probably the worst thing that could happen. 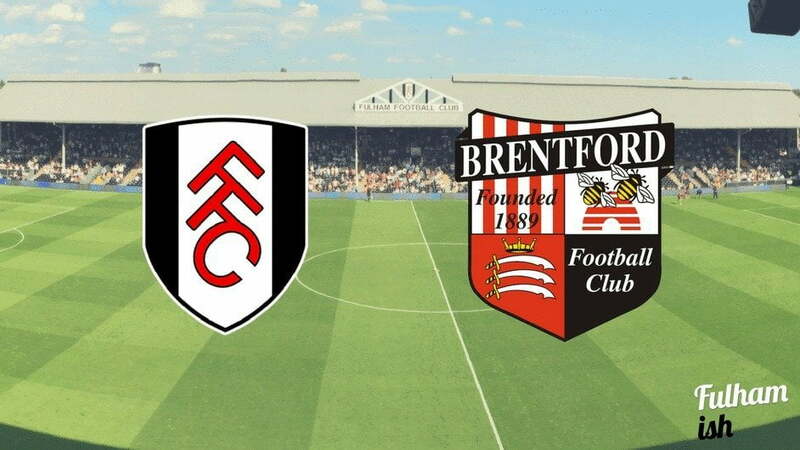 Their free-flowing, attacking brand of football is similar to Fulham’s own, if we’re honest, and one only has to look at their game against Barnsley, and the amount of opportunities that both sides had, to see that this is almost certainly going to be an open, exciting game. That should suit Fulham’s attacking prowess, but with our defence still not the most sound unit around, it brings its own problems at the back. There’s a reason that Both Teams to Score is odds on with the bookies. Whilst on a good run of form, it has to be considered that Brentford’s opponents haven’t been in the richest veins of form themselves, and that their record on the road isn’t brilliant either. There is, however, only so much pre-match analysis you can do on this one – they’re going to be out for revenge, it’s a local derby, and it literally is all they have left to play for, meaning that the form and rule books often go out the window. Fulham can win this game, make no bones about it. They possess more attacking firepower than pretty much anyone in the league, even without Chris Martin spearheading the line, and if it comes down to a straight shootout, they can outscore anyone. If Jokanovic is clever (and he is, have no doubt), he’ll be doing as much as possible to keep the players’ minds off the fact that this is a derby, and face it like any other game. Smith on the other hand, will want to rile Fulham, and throw them off their stride. It’s thus a mindgame battle as much as it is a tactical and footballing one. If Fulham can keep their heads, play their game, and make sure they exploit the weaknesses of a footballing team just as they did at Huddersfield last week, then a playoff spot is surely in their grasp. Brentford will be doing all they can to spoil the party, so more than ever, it’s imperative that the Cottage is in good voice on Saturday. Leave the clappers on the seats and sing up. It could make all the difference. I know it seems sacrilegeous to some people, but we’re going to go ahead and give Neeskens Kebano the nod ahead of Ryan Sessegnon. The youngster is in great form, but Kebano’s eye for a finish and ability to trouble full-backs head on means we think we can’t leave him out. Other than that, it’s as you were. What else did you think we were going to go with? The battle rages online as to whether people think it’s Cairney or Brentford’s wing wizard Jota who is the best midfielder in the Championship, but we think this is where the game could be won or lost. Fulham love a bomb on, which could leave space for the diminutive Spaniard to exploit, and with Fredericks’ tendency to get himself booked early on, we can foresee issues if we can’t keep Jota quiet. That said, Fredericks will ably support whoever is in front of him with lung-busting bursts on the overlap, testing Jota’s ability to run his own channels and put in a defensive shift – if he’s caught lacking in that department, then the full-back could run riot, and with his assist record this season, you wouldn’t bet on him adding a few more. A crucial battle down the right then, and one Fulham will need Fredericks to win if the desired outcome is to be achieved. We want to say we’re going to win here. So we’re going to either say Fulham edge it 3-2, or that it’s a score draw and Leeds lose to Norwich. Either way, we’re ok. Fingers crossed, lads. Don’t forget to listen to Monday’s episode of Fulhamish for all the reaction to this game and a build-up to next weekend’s final game of the season.